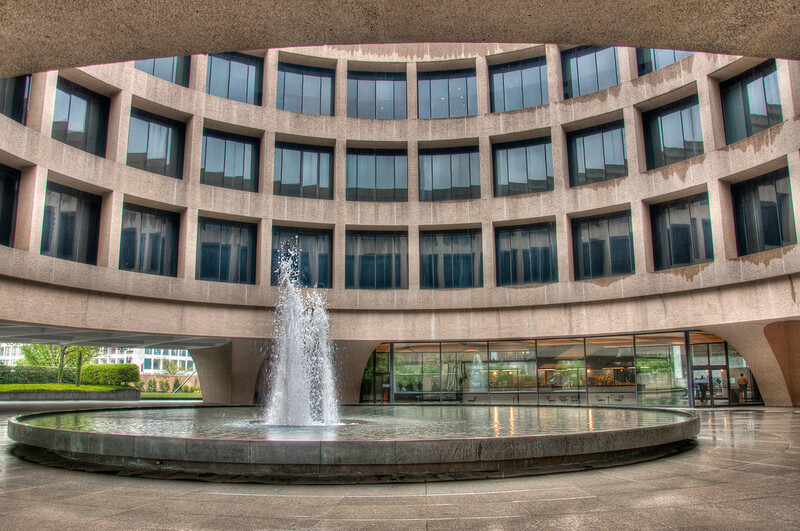 The Hirshhorn Museum | Just Shooting Memories! This was my first visit to the National Mall since I was in eight grade. Lets just say it was a long time ago. I am fortunate enough to have family that lives in the D.C. area and they were free to give me a quick tour. Unfortunately, I was not able to get free until late in the day, so most of the museums were closed, or just closing. We made it to the Hirshhorn just in time to be ushered away by that nice guard you can see in the background. I wish I had time to make it into this one. Until I became passionate about my photography, I did not care too much for modern art. Well that is a thing of the past. You can find more of my Washington D.C. and surrounding area photos in the Washington D.C. and Air and Space Museum categories.